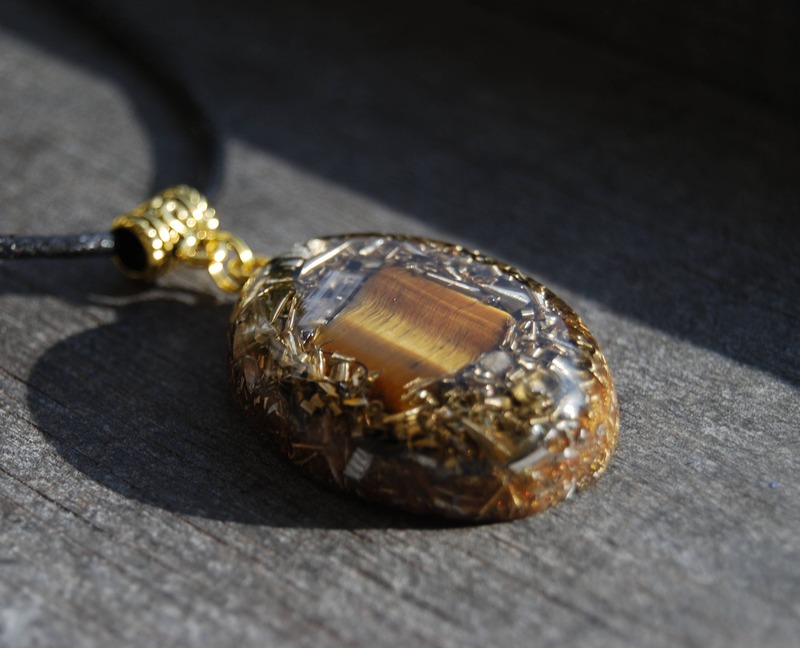 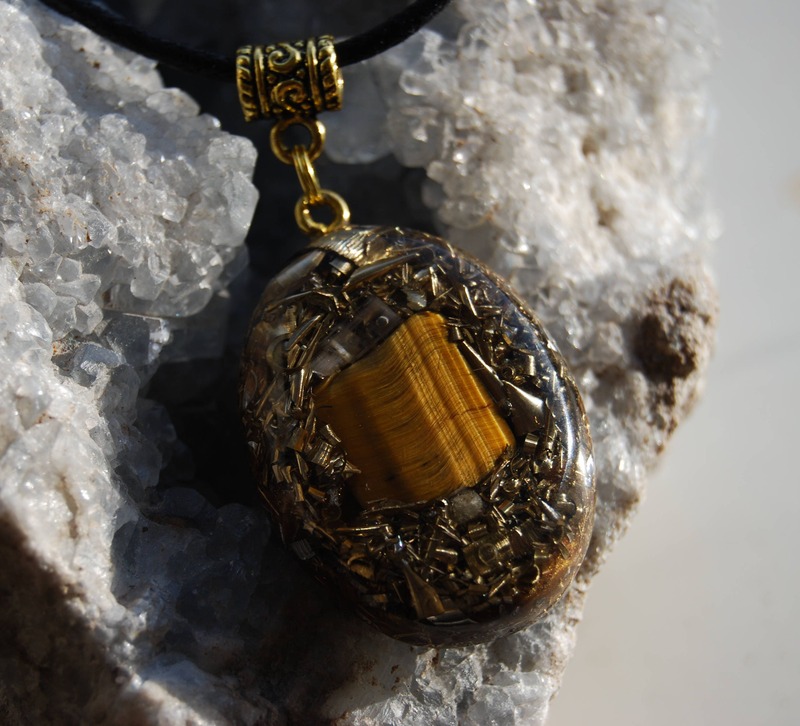 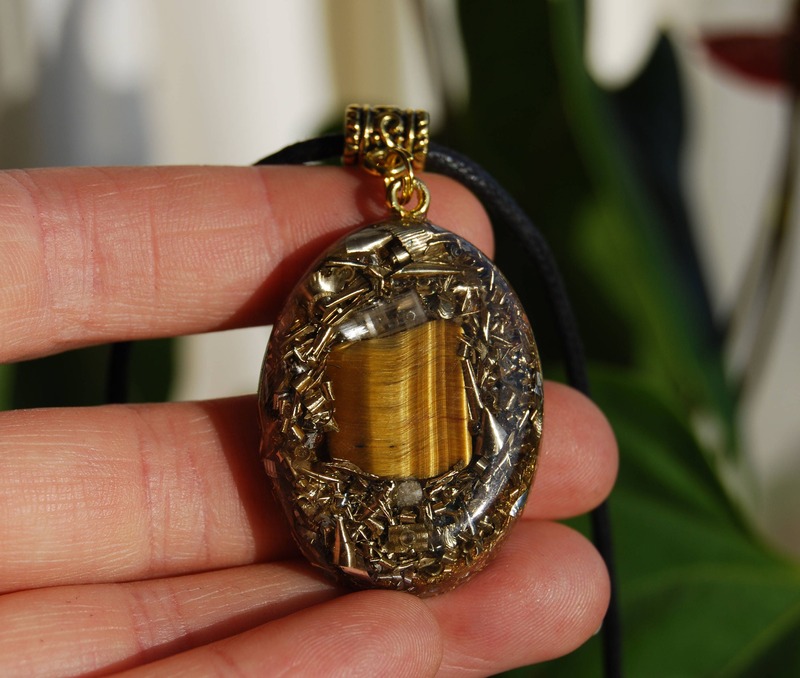 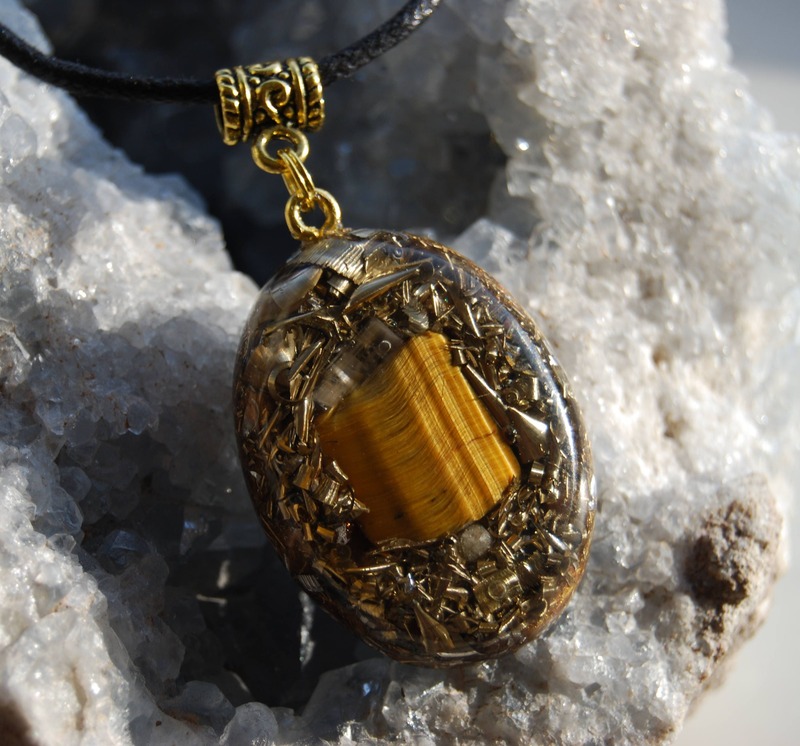 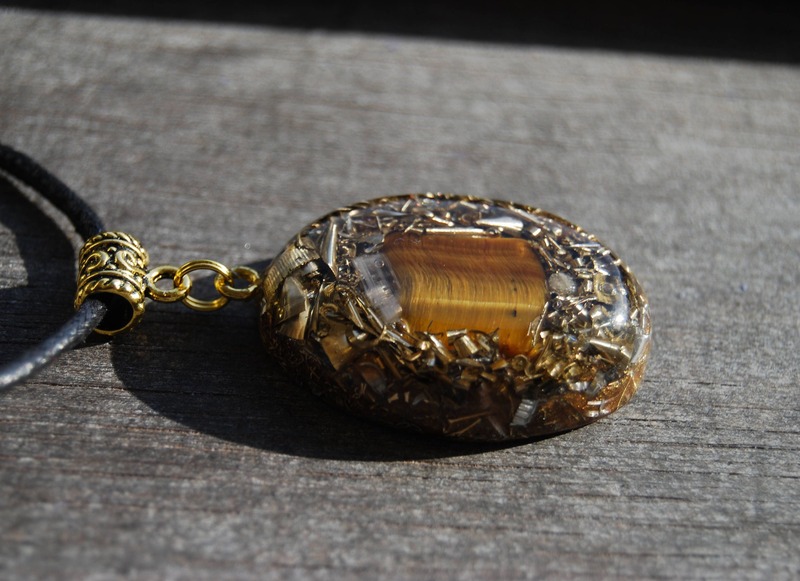 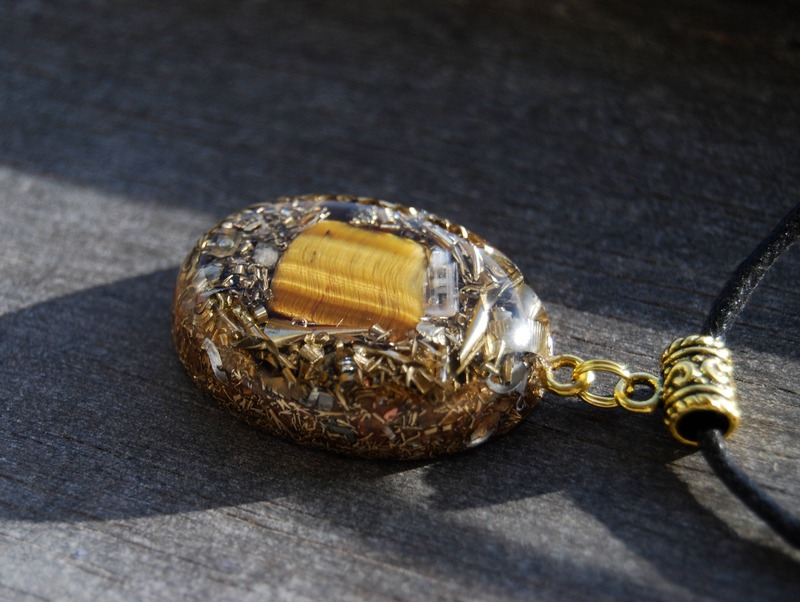 This lovely Orgonite® pendant contains aluminium, brass and copper shavings, Tiger Eye as main stone (in the front) Rhodizite (to amplify the other crystals), Pyrite (to enhance), black Tourmaline (to ground excess energy and for protection), Selenite (to clean and charge the other crystals) and clear quartz (for piezo electro effect) in a durable resin setting. 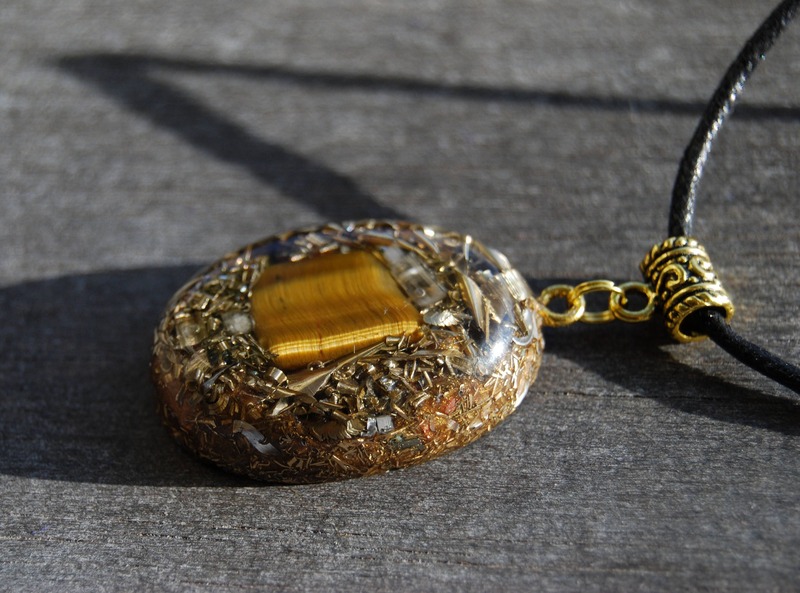 Iron Pyrite makes a wonderful energy shield, blocking out negativity from various sources (for example it deflects ELF (extremely low frequencies) waves. 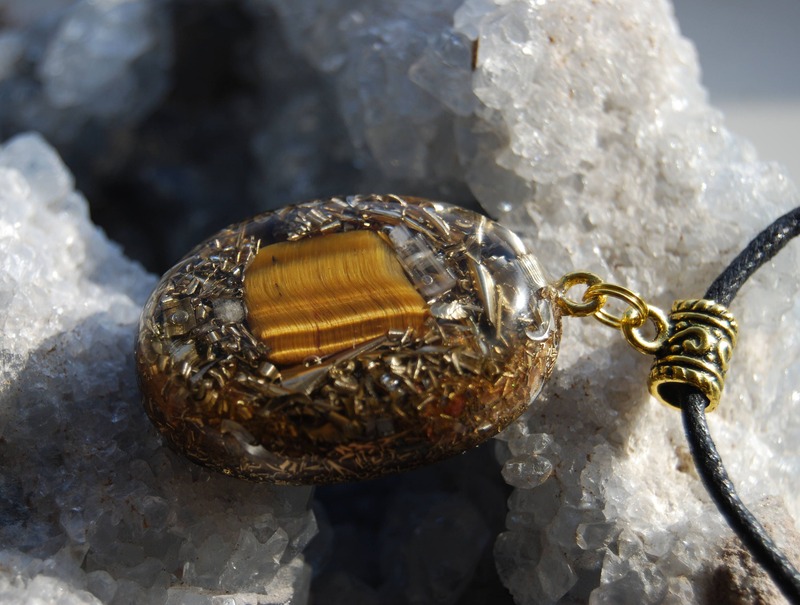 It comes on a an adjustable cord.